Printable Letter O Ostrich worksheet. Write the Letter O and the word Ostrich in capital and small letters with a large black fether Ostrich picture. This free Letter O printable worksheet is available in pdf. 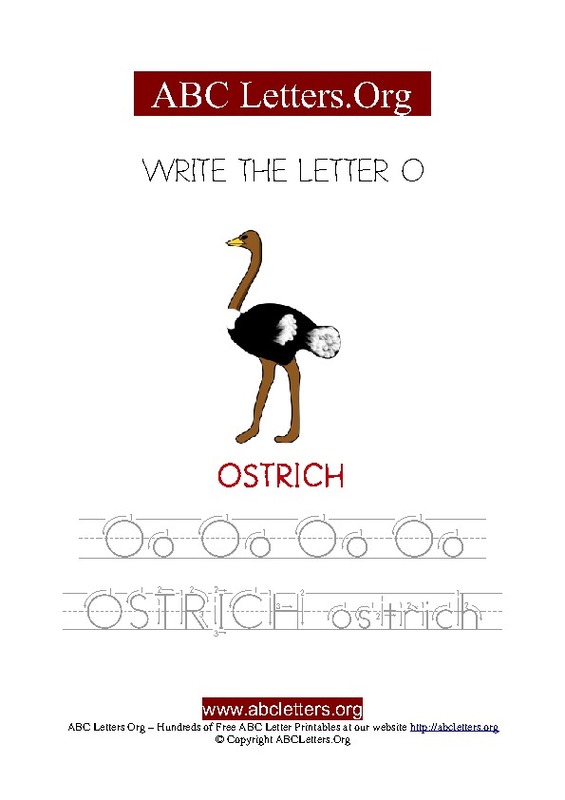 Print this free Letter O Ostrich worksheet for children below. A picture of a black fether Ostrich and the word Ostrich below the picture. The Letter O in capital and small letters to trace with arrow guides. The word Ostrich in capitals and small letters to trace with arrow guides. Step 3. Choose "Save" to download the Ostrich letter worksheet to your computer, or print it out from your browser.